When training do you ever move faster or skip steps if things are easy? The short answer is yes…and no. Do you move along faster/skip steps with a colt that seems to just be really easy with everything? I have a coming 2 yr old black filly that seems to quite literally take about 5 min to figure out what i’m asking then never forgets it.. Would you do all the same steps that’s your doing with Jac as you would a colt this gentile/easy? Thanks for your input! Let me put numbers to this question. Lets pretend that there are 100 steps in your training program before you mount up. Those 100 steps are there because they each work on something in particular or reinforce an idea. 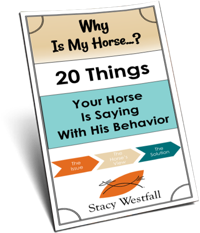 Maybe you added step 78 after one horse had a particular issue…even though the previous 52 colts you started didn’t really need that step. 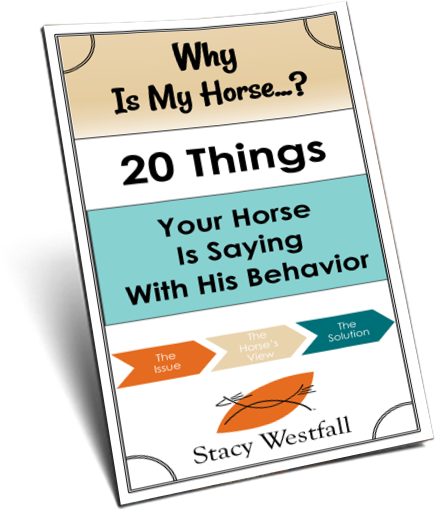 The question is….how long would reviewing that step have taken you with those ‘easier’ horses. So adding steps actually saves time later and doesn’t take extra time if the horse truly gets it. So YES, sometimes I move faster….and NO, I don’t skip steps. When I went to the Road to the Horse colt starting competition I had to pick which of my ‘100 steps’ I could fit into the three hour time frame. In that case I drastically reduced the number of steps. But then I bought my horse and brought him home and showed him all 100, lol. 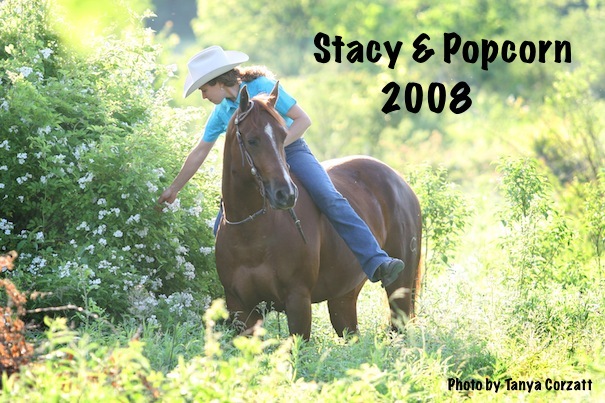 ← Horse training videos online? Do you like the idea? Already use it? Dislike it? I agree, don’t leave out any steps, you can just about guarantee that the one you miss will be the one that causes problems later. My young one is flying through the lessons too but I’d rather he knew them all just incase. 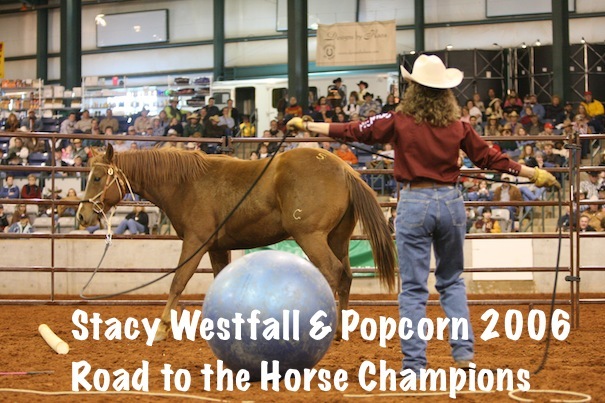 Stacy, is there any footage of you and Popcorn in Road to the Horse on the net or DVD?